A version of this post first appeared on the Edinburgh Bicycle Cooperative blog. My name is Craig Scott and I design and paint helmets at Element 9 Graphics. I’ve been into bikes since I was three years old, no doubt influenced by my dad always having owned motorcycles, working on them and even running his own shop at one point. So I’ve grown up around two wheels and was never far from my bikes and motorcycles. I had a little Yamaha 50cc cross bike, all kinds of BMXs and other bikes around this time. Later on, when I went to college I studied graphic design and around about the same time I became interested in custom helmet painting, as it’s something that relates to both bikes and design, and is a good way for me to combine my passions. After completing a diploma in design and landing my first job, I got an airbrush and set about learning how to paint helmets for my buddies in my spare time. Working in the evenings and weekends I’ve gone from painting for friends to painting for some of Scotland and the UK’s top downhillers and World Cup racers. 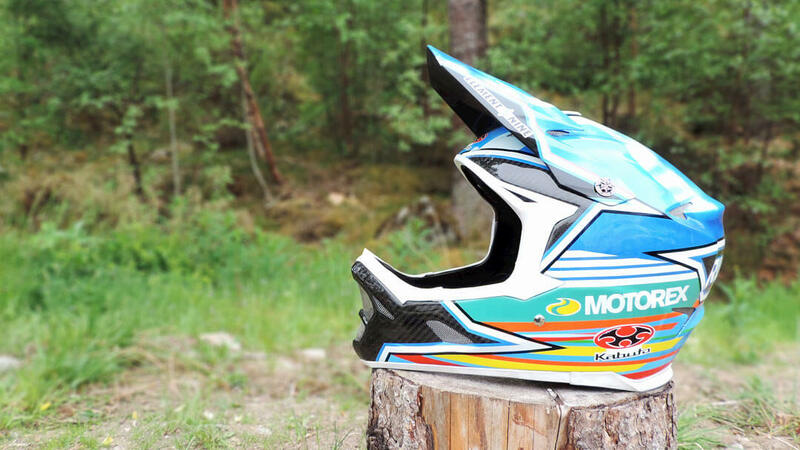 In the last couple of years, I’ve painted helmets for the likes of pro downhill mountain bike world cup riders Tahnée Seagrave, Wyn Masters, Ruaridh Cunningham, and Innes Graham, and also British GT Cup driver Graham Davidson. Design ideas usually start out with a discussion to see what the rider wants; sometimes there’s certain logos that need to be on the helmet or certain colours that need to be used, but often the design comes from the rider’s idea and I’ll spend some time developing it until they’re happy, drawing out a computer mock-up to be sure all logos are in the right place. After the design is approved, I get to work stripping and prepping the helmet before taping out the design and building up each layer of paint. Each process is done by hand so it can take anywhere from 20 to 40+ hours to complete a paint job. A pretty surreal moment this year was handing over Ruaridh Cunningham’s helmet to the team manager at Fort William World Cup in 2016 and seeing it about half an hour later, 40ft high on the big screen! 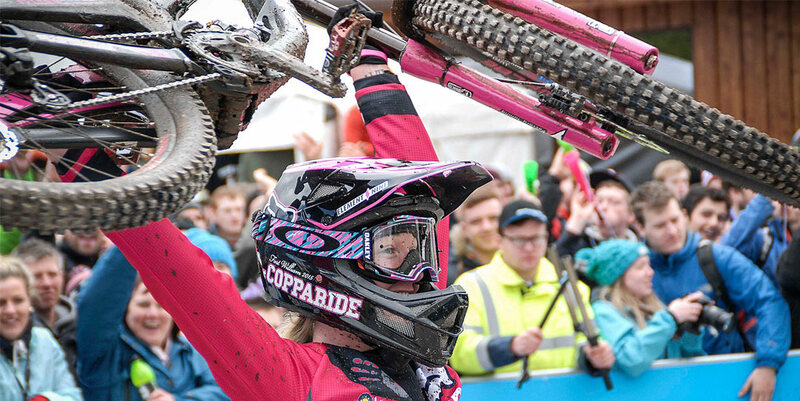 Also seeing Tahnée Seagrave get her best result to date at Fort William 2015 whilst wearing an E9G painted helmet was a good feeling. Future plans for E9G include expanding our range of jerseys and other racewear, as well as continuing to paint helmets for World Cup racers and other motorsport and motorcycling racers. 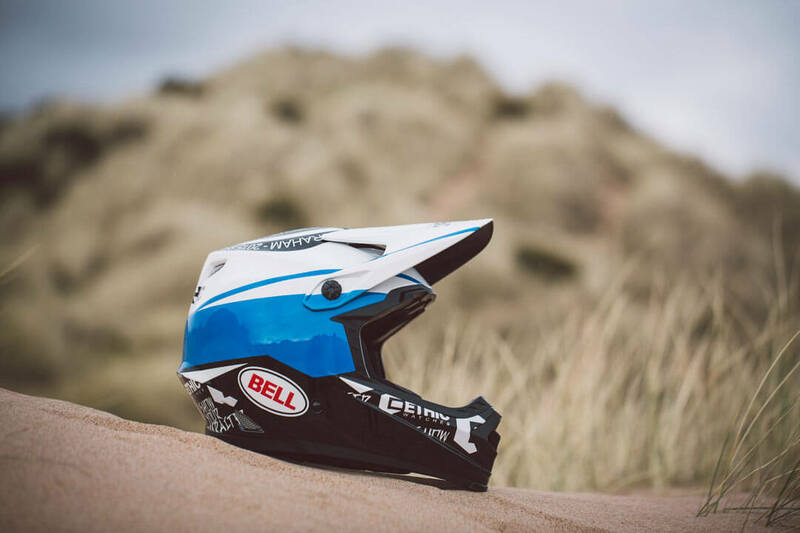 Keep up to date with what’s going on via the E9G Facebook page and Instagram, and get in touch here if you’re interested in having a helmet painted yourself!